Hotel Galvez opened on June 10, 1911 and was built at a cost of $1 million as a symbol of recovery following the nation’s deadliest natural disaster, the Great Storm of 1900. Hotel Galvez and the City of Galveston are both named for Bernardo de Galvez. De Galvez, who never set foot on the island, was a Spanish hero of the American Revolution. When the Hotel Galvez opened in 1911 it offered 275 rooms but the necessity of in-room bathrooms has reduced the current number of rooms to 224. According to local legend, during the 1915 hurricane guests at the Hotel Galvez drank champagne and danced the night away while a woman gave birth to a baby boy in Room 231. The Pageant of Pulchritude, which began in 1920 and ended during the Great Depression, was held in front of the Hotel Galvez and later evolved into the Miss Universe contest. 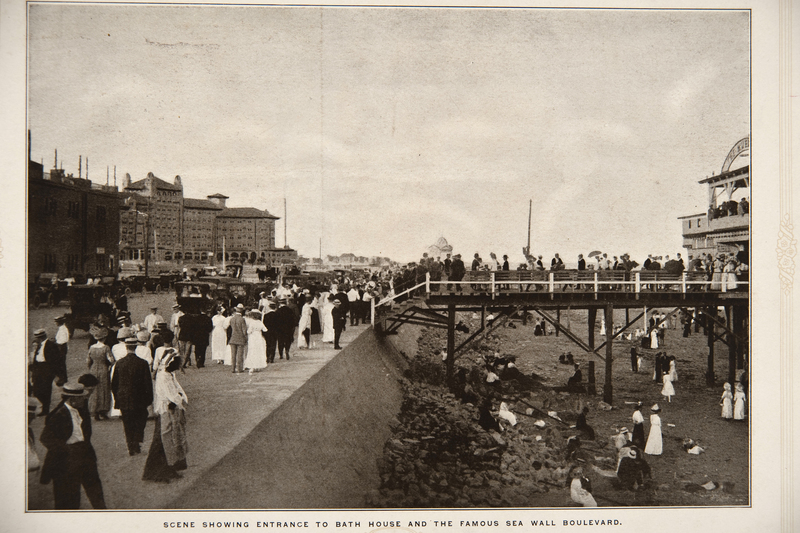 The event has been revived as the Galveston Island Beach Revue. The U.S. Coast Guard commandeered the Hotel Galvez for use as its wartime headquarters from 1942 until 1944. Presidential guests of the Hotel Galvez include President Franklin D. Roosevelt (1937); Dwight D. Eisenhower as a general (1949); Richard Nixon as vice president (1955); and Lyndon B. Johnson as a senator (1959). Noted celebrity guests rumored to have stayed at Hotel Galvez include Douglas “Wrong Way” Corrigan, Sammy Davis Jr., Jimmy Dorsey, Duke Ellington, Phil Harris and Alice Faye, Jack Benny, Howard Hughes, Peggy Lee, Jerry Lewis, Gen. Douglas MacArthur, Dean Martin, Freddy Martin, Frank Sinatra and Jimmy Stewart. The hotel’s lobby features a hand-carved bar purchased from the Old Galveston Club and added in the mid-1990s. The Old Galveston Club was known as the Island’s last speakeasy. 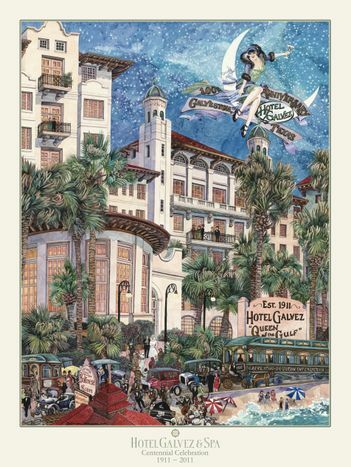 Hotel Galvez is the only historic beachfront hotel on the Texas Gulf Coast. 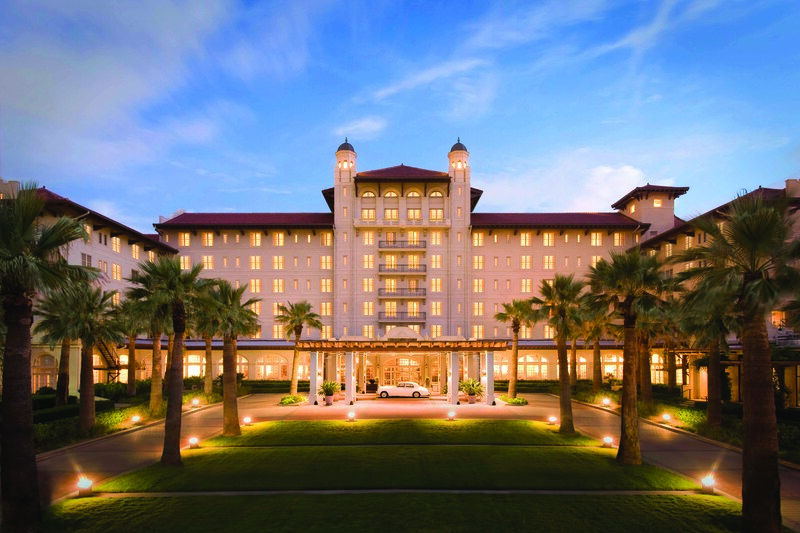 Hotel Galvez & Spa will commemorate its 100-year reign as “Queen of the Gulf” with a free community celebration on Saturday, June 11 hosted by owners George Mitchell and the Mitchell family. The grounds of this historic Texas beachfront hotel will come alive with free family activities from 11 a.m. to 6 p.m. and live music from noon to 9 p.m. and culminate with a fireworks show over the Gulf of Mexico at 9:15 p.m. For a full schedule of activities planned June 10-12, visit www.HotelGalvez100.com. Hotel Galvez, A Wyndham® Grand Hotel and a National Trust Historic Hotel of America, is rated four diamonds by AAA and is part of Mitchell Historic Properties. The hotel is hosting year-long monthly centennial celebrations in 2011. For reservations, call (800) WYNDHAM -- (800) 996-3426 -- or visit www.WyndhamHotelGalvez.com.